Pair packed TRIonic E-194 Tri-polymer blend gloves offer superior performance to natural rubber gloves in many aggressive chemicals used in wafer fabrication and other applications using acids and chemical mixtures. MAPA's unique blend of nitrile, neoprene and natural rubber provides extreme comfort and durability. 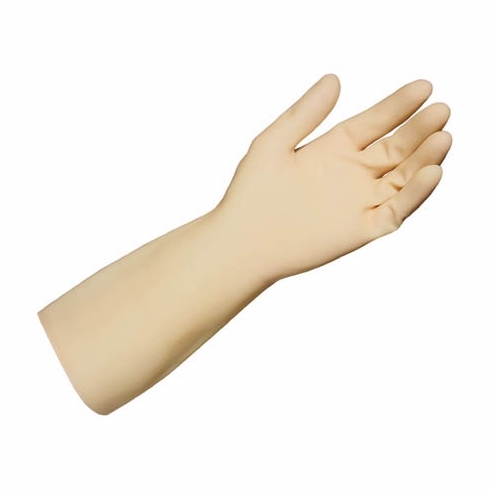 Grip wet and dry objects safely with the raised "Z" pattern on the palm and fingers. The extensive size range provides precise fit, for worker comfort and reduced hand fatigue.